Discover the role that Good Bugs play in your garden and just how easy it is to attract more of these free workers to lighten your gardening load. Jane Davenport's photos of the mini beast are exquisite and will inspire everyone to get out in the garden and look a little closer at the activity on our plants. Jane is an internationally acclaimed artist and insect expert, this book is a unique journey down the garden path. 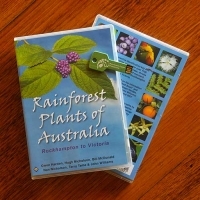 A field guide to the rainforest trees and shrubs of Victoria, New South Wales and subtropical Queensland. An update of the "Red Book" first published in 1984, that covers mainland eastern Australia from Victoria to Rockhampton. Your complete guide to producing beautiful fruit all year round. This comprehensive guide will inspire confidence to grow health food at home without the use of chemicals. Annette covers techniques and methods for fruit production, and there is an A- Z index of fruit covering everything from Apples to Yellow pitayas. You may have an abundance of fresh fruit and vegetables from your garden, or perhaps you've just discovered a new tropical vegetable at your local market. 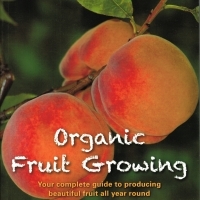 This delightful little book offers over 200 recipes, cooking tips and advice on growing and harvesting over 40 tropical fruit and vegetables.